I didn't take a whole bunch of pictures before packing everything up but I figured this one would do. Time for a lot of people to get what's coming to them! Great work buddy! Your Long Arms & Shockwaves are amazing! Indeed! The unique figures will be so much more fun to do now! 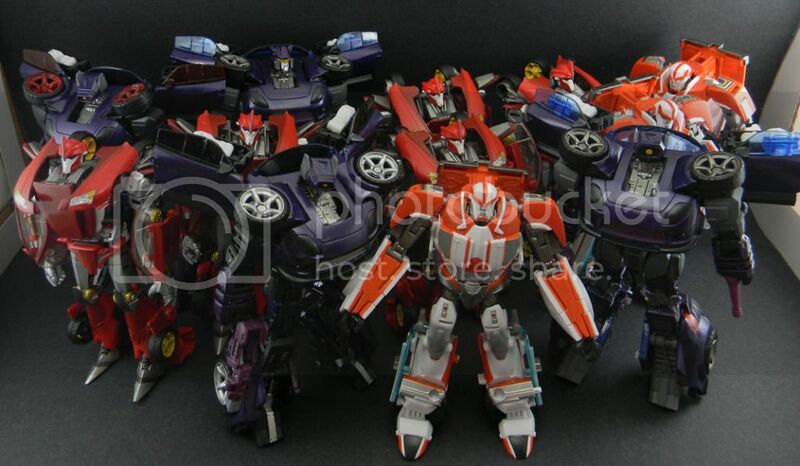 Oh man, I want one of those Shockwaves so badly. I've wanted that mold done as Jazz since I first saw it, so naturally they make it the Botcon custom... which you've blown clear out of the water. I ended up liking yours the most. I thought the silver details would look rather bland but the figure just looks really cool with them! If I had a surplus of Shockwave heads I'd be tempted to make one for myself. That's also why he's standing up front.